Snoop Dogg had a huge hit with "Gin and Juice" back in 1994, and over the weekend, the rapper became a world record-holding bartender for mixing up the largest drink of the same name. The record-breaking gin and juice cocktail was mixed onstage at food and drink festival BottleRock Napa Valley in California on Saturday (May 26). To make the giant drink, he enlisted some help from his frequent collaborator Warren G, as well as former Top Chef winner Michael Voltaggio. 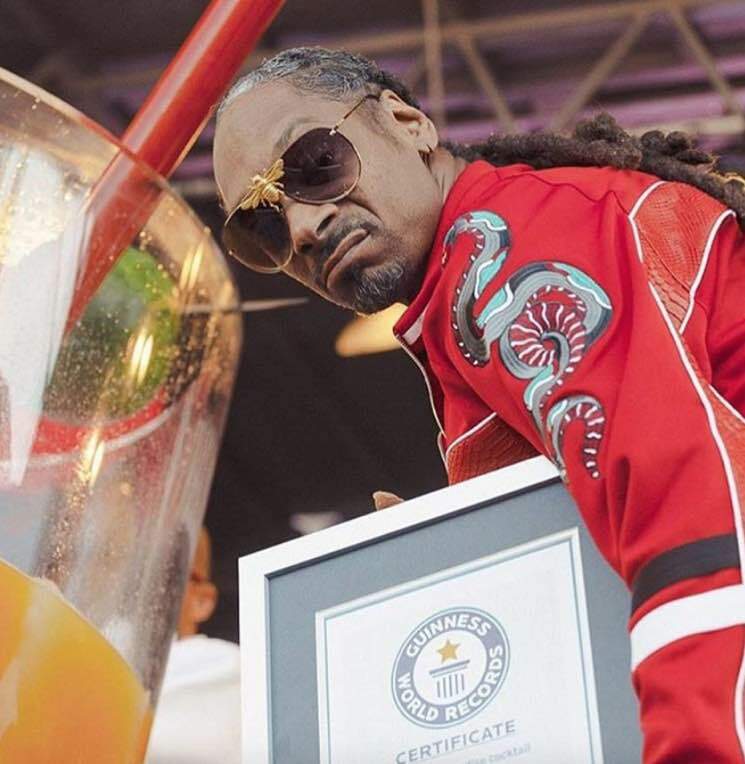 A rep for Guinness World Records was on hand to officiate the successful record-breaking attempt and present Snoop and co. with a certificate for proof of their achievement. Check out footage from the massive drink-mixing event below. @bottlerocknapa @snoopdogg @warreng @williamssonoma this just happened!!!! !